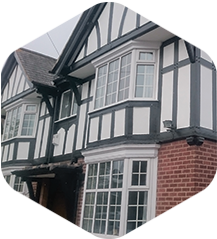 Established in 1999, David A Byrne is an experienced tradesman in the painting and decorating business for over 25 years. 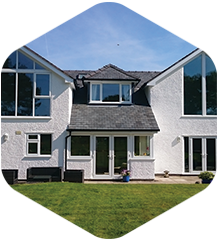 Based in Wrexham, North Wales and operating in North Wales, Cheshire, Wirral, Merseyside, Shropshire and the Northwest of England, we have a large client-base and lot of happy customers to verify it. 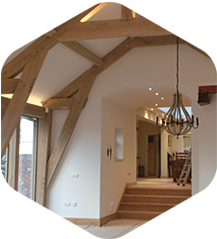 We can assess and tailor a quote to your project, so don’t hesitate to get in touch. Whether it is domestic, commercial or industrial, we provide an excellent service no matter what the needs of the client are. 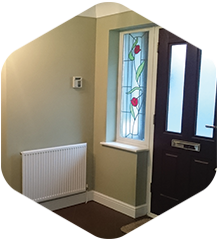 If you need some interior or exterior painting, decorating or wallpapering please feel free to get in touch. Customer requested a full external redecoration, all panels have had to be refilled and painted with between 2-3 coats of masonry paint.. Customer requested a full redecoration of the landing and staircase all ceilings have had two coats of emulsion all walls have also had two coats of emulsion.. Customer requested for a full external paint job, all walls have had two coats of weather shield masonry. All woodwork has been patch primer where needed.. Builder requested all ceilings and walls to have between two and three coats of emulsion all the way through. All doors and frames, staircase and skirting boards have had..
Find us on Facebook and Follow us on twitter for regular updates of our work. Copyright David A Byrne 2016. All Rights Reserved.